Flora Mounessa, 39, and Shahram Sharif, 45, claimed benefits while depositing over $2 million in personal bank accounts. Great Neck, NY - February 22nd, 2014 - Nassau County District Attorney Kathleen Rice announced the arrest today of a Great Neck couple for claiming more than $70,000 in Medicaid benefits by significantly underreporting their income and assets – including over $2.74 million deposited into their personal bank accounts during the time the fraud was taking place. 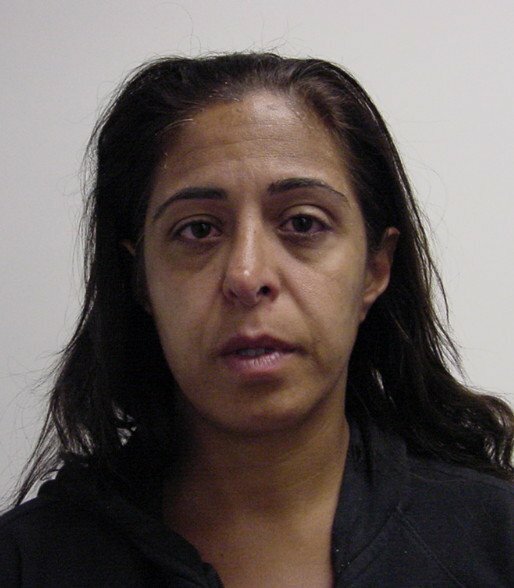 Flora Mounessa, 39, and Shahram Sharif, 45, both of Great Neck, were each charged with one count of Welfare Fraud in the 2nd Degree (a C felony), one count of Grand Larceny in the 2nd Degree (a C felony), and one count of Offering a False Instrument for Filing in the 1st Degree (an E felony). If convicted, the defendants face sentences ranging from conditional discharge to 15 years in prison, plus restitution and fines. They were conditionally released to probation by Nassau County District Court Judge Joy Watson and are due back in court on March 11. DA Rice said the defendants, a married couple, applied for and received Medicaid benefits from the Nassau County Department of Social Services for their family between approximately January 1, 2005 and October 31, 2010. During this time, the defendants filed DSS applications and recertification forms wherein they underreported their household income and assets. On the forms, the defendants stated that their household income was between $23,400 and 31,200 per year depending upon the form. During the time the fraud took place, Ms. Mounessa was employed as a dentist and Mr. Sharif was self-employed buying and selling real estate. As a result of the claimed income, the defendants and their daughter were approved for Medicaid benefits. The case was referred to DA Rice’s office by the DSS Office of Investigations as part of a continuing partnership to investigate and prosecute fraud involving Medicaid and other benefits. DA investigators made the arrest on Feb. 21, 2014 after the investigation showed that the defendants’ total income of $2.74 million deposited in personal bank accounts over the fraud period was much higher than what the defendants told DSS. As a result of this fraud, the defendants received $70,193.64 in Medicaid benefits to which they were not entitled. Assistant District Attorney Andrew Weiss, deputy chief of DA Rice’s Economic Crimes Bureau, is prosecuting the case. Both defendants are represented by Nathan Dembin, Esq. Subject: LongIsland.com - Your Name sent you Article details of "Great Neck Husband and Wife Arrested For Stealing Over $70K in Medicaid Benefits"